Ahmed Z. Ashoor received a Bachelor of Science degree in Physics in 2003 from King Saud University, Riyadh, Saudi Arabia. During his BS, he received the best GPA award in the first year and his senior fourth year project that was in quantum mechanics was recognized as one of the best ten projects among his peers’ projects. Also, Ahmed held a four-month summer internship position in his last year of study at the Inspection Department/Non-destructive Testing (NDT) in the Saudi Aramco Oil Company, Dhahran, Saudi Arabia, where his main job was to work with NDT engineers and inspectors to perform advanced Non-destructive examinations in Saudi Aramco operating facilities. Then he worked as a trainer/instructor at Al-Ahsa and Al-Dammam College of Technology for a year and a half where he taught a first-year physics course. In 2004, he moved to work in the industry as an engineer where he worked as a Radiation Safety Officer for two years at the Geotechnical Testing Center, Dammam, Saudi Arabia, supporting various inspection activities on different projects at the Saudi ARAMCO facilities. His experience also includes radiographic, ultrasound, electromagnetic, visual, eddy current, magnetic flux leakage, and Infrared testing. Also, he worked at Specialized Inspections CO. Ltd. in the Advanced Inspection department managing Nondestructive Testing (NDT) engineers as an operations manager. 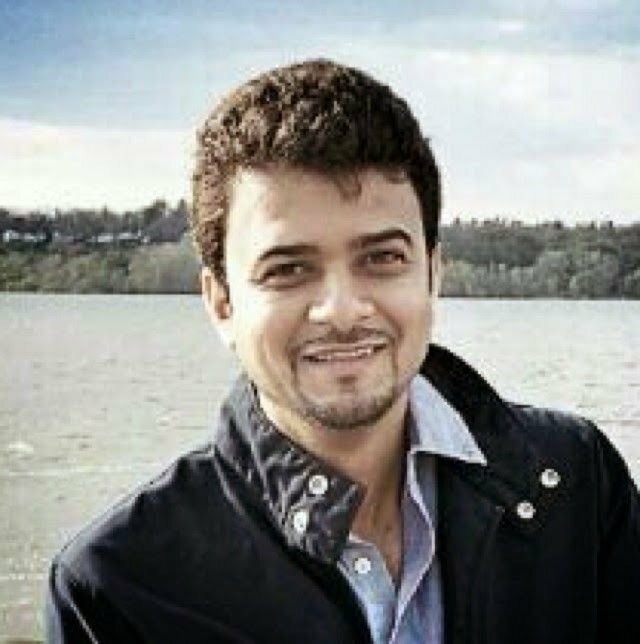 Prior to his master’s degree, Ahmed in 2009 completed a pre-master program in electrical engineering at Arizona State University, Tempe, AZ, USA. In 2012, Ahmed was awarded his M.Sc. in Electrical and Computer Engineering under the supervision of Professor Omar M. Ramahi from the University of Waterloo, Canada. His master’s research thesis was in the Artificial Neural Networks for Microwave Detection. Currently, Ahmed is a Ph.D. candidate at the University of Waterloo working under the supervision of Professor Omar M. Ramahi at the Electrical and Computer Engineering department. His main research activity is focused, but not limited to, in the Electromagnetics energy harvesting which has recently gained a significant increase of attention since it provides an alternative clean source of energy. He investigates different mediums/receptions such as conventional and nonconventional antennas, nanoantenna, and metamaterials that can focus and efficiently capture the electromagnetic energy are investigated and studied for the purpose of transforming and converting the electromagnetic energy into usable power. Ahmed believes that his solid physics and electrical engineering background along with his research enthusiasm of exploring new ideas would open new paradigm and contribute very strongly to the electromagnetics research area.